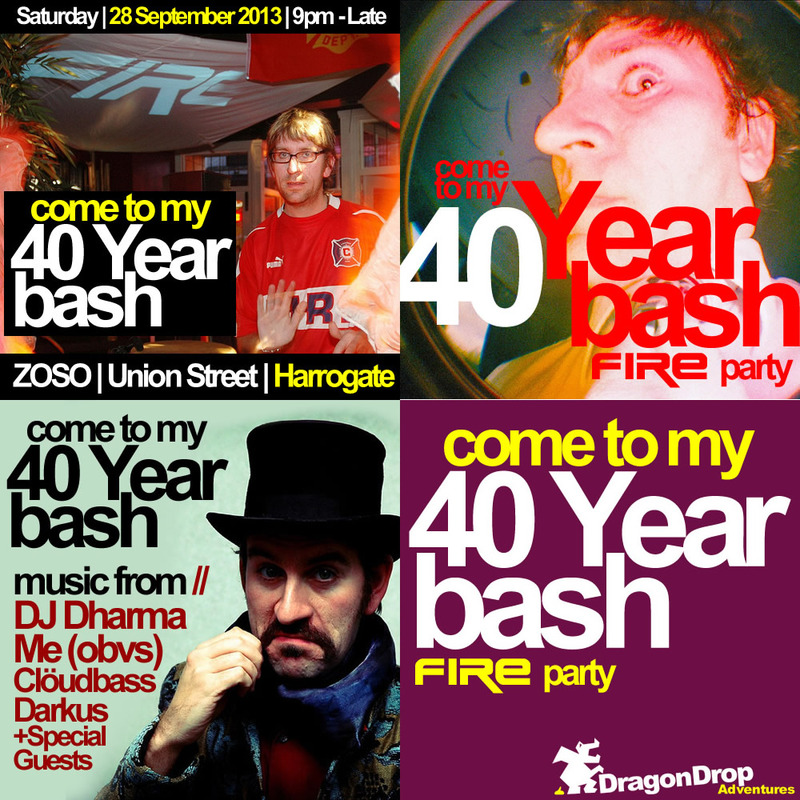 After a lot of deliberation, I decided that chucking one of them there FIRE parties that we used to chuck all the time, would be the best bet for my 40th. I’ve already secured some of my fave DJs – Dharma for one, and Dodsworth for another. Music will be from the roots, world, lounge, leftfield and funk ends of the world (we put the fun in funk), through to house and a liberal portion of techno. Chuck another log on it! I’m doing it as a ‘cool people only’ policy (what ever that means) rather than a private party. I’m in the process of working out if I should resurrect my congas or not. It’ll cost me £50+ to replace the now very lifeless and split skins, and it means that if my congas are there, I’m either a conga player all night or a babysitter of congas. It might be a laugh though. I’ve not played them in years. The thought process behind the artwork I’ve thrown together was me trying out different ideas, then deciding I quite liked all of them so I put them together in a sort of a montage thing. There’s a facebook event rollin’ here is a handy link. If I’ve missed you off, sozza! get yourself on it!